The National Council’s Special Committee for Education recommends the fee structure and other operational aspects of private schools be looked into. 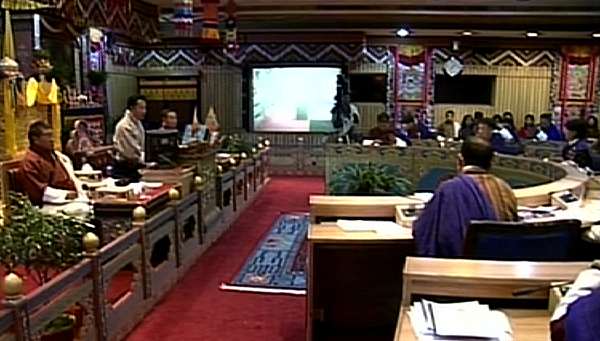 The discussion came up while reviewing the Guidelines for Private Schools of Bhutan 2012 in the National Council, today. The committee’s report said even though there is a guideline for the private schools in the country, there is no comprehensive government policy to govern, especially the operational aspects. It also said the basis for fee structures are being left at the discretion of the proprietors. “Parents have to pay a huge amount when they enrol their children in private schools. Last year, many private schools raised the fees and this year, I hear around five schools are increasing the fees,” said Thimphu’s NC MP, Nima Gyaltshen. Many members of the council also raised their concerns over private schools recruiting untrained teachers. Samdrup Jongkhar’s NC MP, Jigme Wangchuk said it is important to have trained teachers. Chhukha’s Representative, Pema Tenzin said even though Thimphu, Phuentshogling and Paro have more number of private schools, teachers of these schools do not have equal training opportunities. He said even the textbooks in the private schools are old. The recommendations will be discussed again among the members before they are finalised.